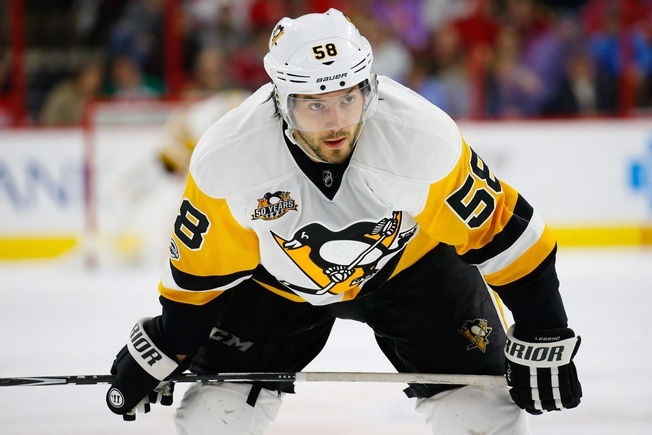 Pittsburgh Penguins defenceman Kris Letang will miss the Stanley Cup Playoffs and possibly even the start of training camp next season, the team announced Wednesday. The blueliner has a herniated disk in his neck that requires surgery and about four to six months of recovery time. He had an MRI in February and skated on his own shortly after that, but there were difficulties in his recovery and a second MRI was ordered by team medical staff. The Letang situation highlights the volatile reality behind many injuries, as things can take a turn in an instant. Back on March 29, head coach Mike Sullivan was pretty sure his defenceman would be back in the fold before long. Letang was set to join the team in practice sessions and he was supposed to recover in time for the playoffs. Letang has not played since February 21 and has clocked 34 points in 41 games, including five goals and 29 assists. He has 14 points on the power play and was averaging about 25 and a half minutes of ice time a game. The 29-year-old was a beast in the playoffs last season, putting up 15 points in 23 games and averaging nearly a half hour of ice time a game. The Penguins will definitely miss Letang in this post-season and are also without defencemen Olli Maata and Trevor Daley. Evgeni Malkin has also not skated since March 15, but Sullivan is optimistic he’ll be ready for the playoffs. The Penguins are 12-5-3 in their last 20 games without Letang, but the recent additions of Mark Streit and Ron Hainsey may help patch up some of their issues on the blueline. But make no mistake about it, missing a blueliner of his calibre has to hurt.